Pentek whole House filtration systems and cartridges Can filter all of the water through your home or business. 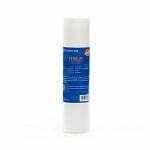 The Ametek, Pentek, US Filter C-1 or C1, American Plumber W5CIP Water Filter Cartridge features carbon-impregnated Cellulose reduces chlorine taste & odor, as well as filtering extra fine dirt, rust, scale particles. C-1 or C1. 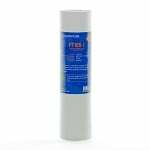 Greater flow rates and better containment reduction, the Filters Fast FFDG-20BB-5 compatible gradient water filter is a money-saving alternative to the Pentek DGD-5005-20. 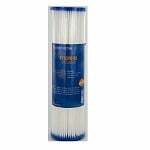 With both pre- and post- filtration the filter reduces larger particles. 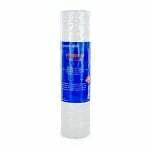 The Pentek PS20-10C compatible water filter Cartridge is a spun polypropylene, 20 micron water filter that is designed to remove sediment and rust from water without effecting any colors, tastes or odors. 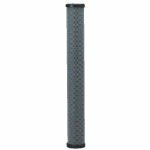 The FiltersFast FF10BBS-25 gradient-depth radial-flow carbon water filter is the correct replacement for the GE FXHTC and Pentek RFC-BB. The FiltersFast FFDG-20BB-1 is the correct replacement for the Pentek DGD-2501-20. The FiltersFast FF10MBS-5 is the correct replacement filter for the Pentek PD-5-934. 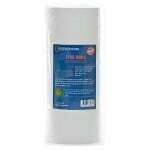 The Filtersfast FF10BBPS-50 replacement pleated water filter removes sediment particles like sand, dirt, rust, and scale. Replaces R50-BB, R50-BBS, FXHSC, WHCF- HPLBB, W50PEHD, W50PEHDA, 155053-51, SPF-45-1050, SPC-45-1050. 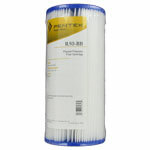 The Filters Fast FF10BBPS-20 is the correct replacement filter cartridge for the Pentek S1-BB. 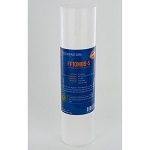 The FiltersFast FF10SW-10 is the correct replacement water filter for the Pentek CW-F. 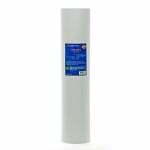 The Pentek DGD-5005 compatible replacement water filter simultaneously works as a pre- and post-filter to reduce extra fine silt, dirt, sand, rust, and scale particles from your water. 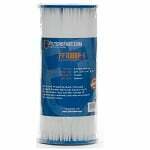 The Ametek, Pentek ECP5-BB, American Plumber W5CPHD Heavy Duty Pleated Cellulose Cartridge reduces extra-fine sand, dirt, silt, rust, and scale particles. 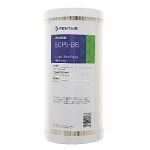 The W5CPHD is also known as ECP5-BB, CP5-BB by Ametek, Culligan, Kleen Plus, Pentair, Pentek. 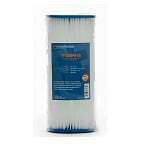 The American Plumber W25P, US Filter P25 Whole House Filter Cartridge removes sand, dirt, silt, rust, and scale particles from your household water. 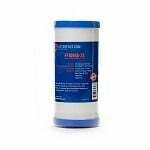 The W25P is also known as part number P25 by Culligan, Ametek, Pentek, Kleen Plus, Plymouth. The Pentek, Ametek, US Filter C1-20 Carbon Filter Cartridge is a double-length carbon impregnated cellulose filter cartridge designed to reduce sediment, chlorine taste & odor, and bad taste & odor. 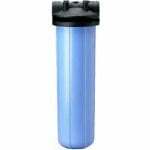 he Filters Fast FF20BBPS-20 is the compatible replacement whole house water filter for Pentek S1-20BB. The Pentek 150233 20" Big Blue HFPP 1" Filter Housing features 1 inch NPT and pressure release button. The 150233 is ideal for residential, commercial, and industrial filtration where high-flow rates are required. Made of durable Polypropylene. 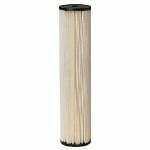 The Pentek PS20-10C Filter features spun bonded, 100% polypropylene fibers that will reduce sediment from your water without imparting any colors, tastes or odors. 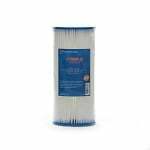 This polyspun filter also offers superior chemical resistance. 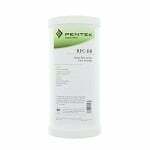 The Pentek R30 compatible replacement water filter is manufactured from a durable, reusable polyester. 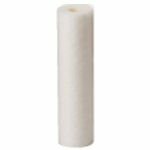 The Pentek R30 compatible replacement water filter is manufactured from a durable, reusable polyester. 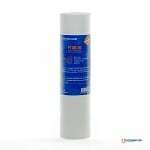 The Ametek, Culligan, Pentek RFC-BB Radial Flow Carbon Filter reduces chlorine taste & odor and other bad tastes & odors from your drinking water. The WRC25HD is the same water filter as part RFC-BB by Ametek, Bruner, Culligan, Kleen Plus. The Pentek CW-50 replacement whole house water filter takes extra fine sand, dirt, silt, rust, and scale particles out of your water to improve the flow of water and performance of appliances. 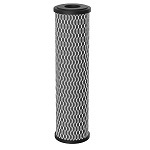 The Filters Fast Compatible for Pentek S1 replacement water filter that uses a 20 micron filtration design to reduce sand, dirt, silt, rust, and scale particles in your household water. 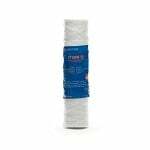 The Pentek R50-BB, American Plumber W50PEHD Heavy Duty Pleated Polyester Cartridge is a whole house filter designed to filter coarse sand, rust, and scale particles. 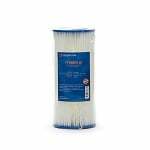 This filter is also known as part R50-BB, R50-BB by Ametek, Bruner, Culligan.